The Kitchn blog recently posted an article that pairs different kitchen styles to the different Myers-Briggs typologies. For those of you who don't know about the Myers-Briggs test, it is a 4 letter code that tells you what your personality is based on a series of questions. Questions range from whether you feel emotionally involved when watching soap operas to gauging if you find yourself contemplating life's complexity. According to the test that I took, I'm an ENTJ - Extrovert over an introvert, Intuition over sensing, Thinking over feeling, Judging over perceiving. Depending on the day and period I'm at in my life, I'm sometimes a ENFJ (feeling trumps thinking). But today, I definitely feel like an ENTJ. I don't tend to take these personality tests too seriously, but some elements of the Myers-Briggs does make sense and shed light on some of my habits and reactions. The ENTJ description could explain why I get bored easily if I don't have a thousand things going on, and why I like to throw in some competitiveness into my hobbies (like yoga and skiing). 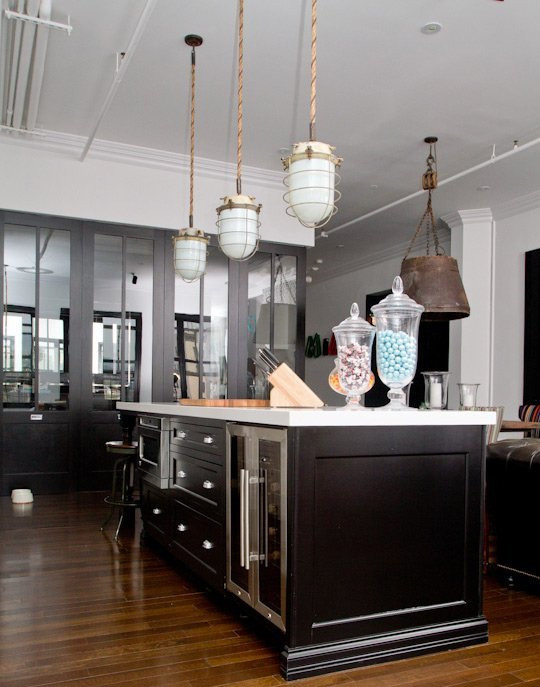 "Your kitchen style is Sophisticated Industrial. Sometimes it takes a hard edge to really push things through. You appreciate strong industrial-style elements — cage pendant lights, metal stools — but you're not interested in roughing it. Traditional cabinets (painted black) keep the look sophisticated, and only slightly intimidating — just how you like it." The scary part is that I do have metal stools paired with traditional cabinets. And I really don't like the distressed 'industrial' look in my home. Was this more of a lucky guess than a scientific analysis? Help me figure it out. Take the Myers-Briggs test (link here) and then check out the Kitchn (article link here) to see if their analysis works for you.